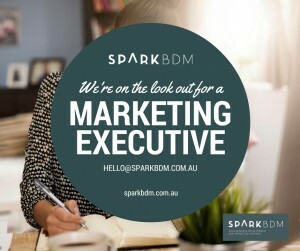 We’re looking for an experienced marketing professional with strong client relationship ability (and copy writing or graphic design skills are a bonus!). You’ll be responsible for managing clients and third party creative, online and media providers, ensuring brand integrity and consistency for every client. You’ll have experience as an effective campaign manager/executer, with strong digital know-how. You’ll have high attention to detail and won’t be afraid to get your hands dirty in the dynamic role. You’ll enjoy working with a fast paced and diverse team that’s low on hierarchy and politics, but strong on support, growth and achievement. At the heart of the SparkBDM strategy is our commitment to be ‘a place people love to work at and with’. We treat people as people, value family and understand that you work to live and not the other way around. Our environment is entrepreneurial and social and connectedness is at the heart of the business. Facilitate weekly and monthly campaign reporting and administrative processes. Place respect and honesty at the basis of relationships. Are highly motivated and success orientated. Are excited by change and growth and want to join us on our journey. To be successful in this role, you will have high attention to detail, the ability to bring innovation to integrated marketing and communication plans; exposure to media releases and the ability to write content and strategic plans. This role is flexible and will see you adapting your broad base to this exciting and growing role. Sound like you? 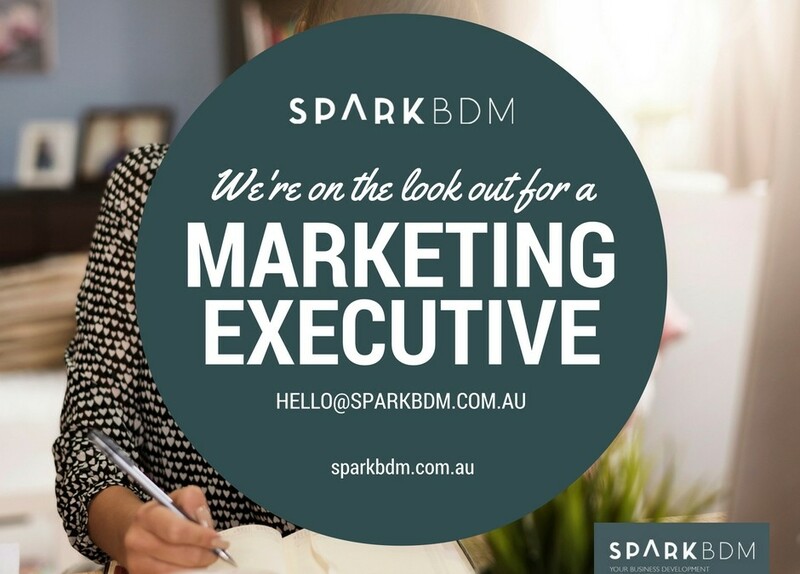 If you are interested in this rare opportunity, please email your resume and cover letter to hello@sparkbdm.com.au or call 7221 3315. I just finished watching a video you did with Mikyla Gilbert. I liked what you said about the level of depth you go into to solve a problem for businesses. I think that’s important. Anyway I Just wanted to message you because I like what Sparkbdm stands for and what it’s doing. Would love the opportunity to sit down and have a chat.